The nun who made the accusations, who has not been publicly identified, said she went to police last year only after complaining repeatedly to church authorities. Eventually, a group of fellow nuns launched unprecedented public protests to demand Mulakkal's arrest. He was arrested but released after a few weeks. Mulakkal was the official patron of the nun's community, the Missionaries of Jesus, and wielded immense influence over its budgets and job assignments. The nun said the rapes occurred between 2014 and 2016. Mulakkal has denied the accusations, calling them "baseless and concocted" and saying the accusing nun was trying to pressure him to get a better job. Speaking to reporters aboard the papal plane, Francis vowed to confront the problem. "Should we do something more? Yes. Is there the will? Yes. But it's a path that we have already begun," he said. 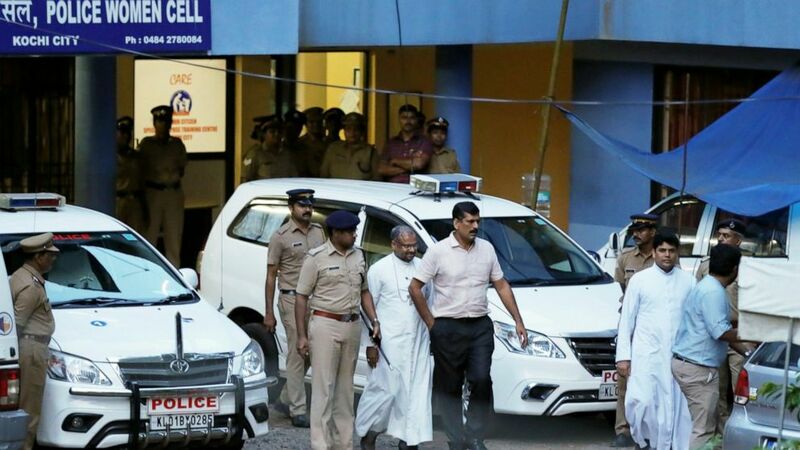 The Mulakkal case has split India's Catholic community, with many people defending the bishop. In March, the founder of the Vatican's women's magazine, along with the magazine's all-female editorial board, quit their positions, saying a Vatican campaign to discredit them had increased since they denounced the sexual abuse of nuns by priests and bishops.